I’m not intimidated by lead roles. I’m better in them. I don’t feel pressure. I feel released at times like that. That’s what I’m born to do. That’s your job as the actor, to understand the human part of the character, to make it real. I don’t do comedy. I think if a situation is funny you just play it for real and if it’s funny, it’s funny. All my life, all my life that I can, as far back as I can remember, I saw my first movie when I was six years old. And since then I wanted to do that. I wanted to be a part of that. I once heard a wise man say there are no perfect men. Only perfect intentions. The highest power is the human mind. That’s where God came from and my belief in God is my belief in myself. Was I always going to be here? No I was not. I was going to be homeless at one time, a taxi driver, truck driver, or any kind of job that would get me a crust of bread. You never know what’s going to happen. We humans are more concerned with having than with being. And some places you been before are so great that you don’t ever mind going back. Some places you been before you don’t ever want to go back, you know, like Montreal in the Winter. 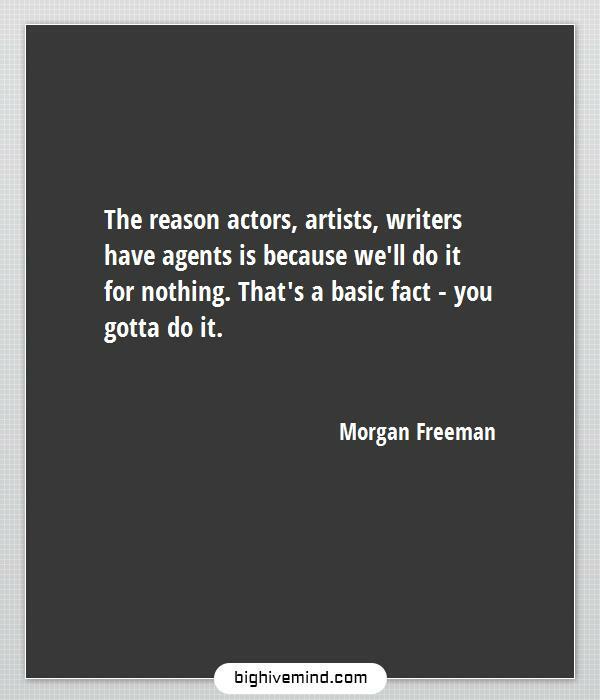 The reason actors, artists, writers have agents is because we’ll do it for nothing. That’s a basic fact – you gotta do it. 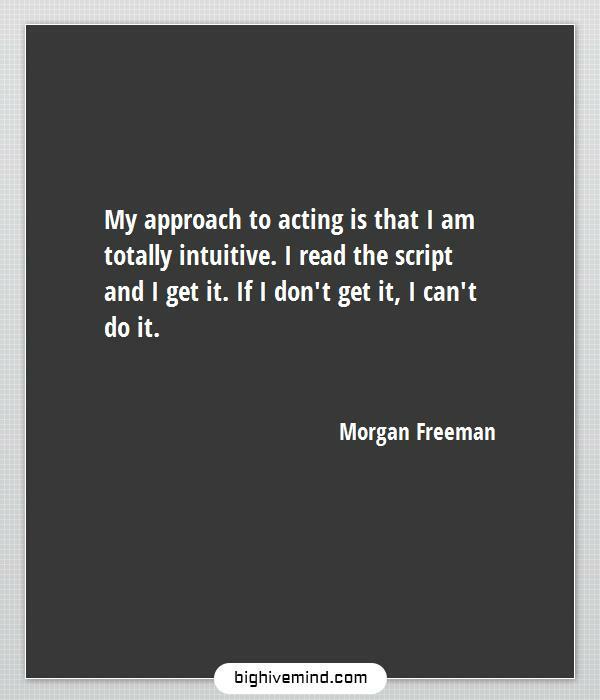 My approach to acting is that I am totally intuitive. I read the script and I get it. If I don’t get it, I can’t do it. The first thing that always pops into my head regarding our president, is that all of the people who are setting up this barrier for him… They just conveniently forget that Barack had a mama, and she was white – very white; American, Kansas, middle of America. There is no argument about who he is, or what he is. America’s first black president hasn’t arisen yet. He’s not America’s first black president. He’s America’s first mixed-race president. I do know there are a lot of people who seem to be in my corner, and that’s, of course, wonderful. I’m really more interested in the nomination than in the award, because I think the nomination just puts you within a group of outstanding actors. One of the things you can always depend on – this is one of the truths of the universe, and you heard it first from here – whatever we decide we want to do is what we do. I want to thank everybody and anybody who ever had anything to do with the making of this picture. I don’t remember what my favourite comedy film is – truthfully! I saw Borat and I thought I was not going to be able to get out of the theatre because I was in so much pain from the laughter. The trick to any profession is making it look easy. Don’t be afraid of what you want. This is your time. The barriers are down. It’s what I learn from the great actors that I work with. Stillness. That’s all and that’s the hardest thing. People say it’s a movie about boxing, but… I don’t agree at all. I don’t think it’s a movie about boxing. Boxing is like a platform. It’s just a stage where this is played out. And that if you become a star, people are going to go to see you. If you remain an actor, they’re going to go and see the story you’re in. As long as you feel like a victim, you are one. I’m making a great effort because sometimes life is not enjoyable. Sometimes it’s painful and sometimes it’s stressful, sometimes it’s agonizing even, so I think once you get around those humps: strive for pleasure and peace. I have to remind myself that some birds aren’t meant to be caged. Their feathers are just too bright. And when they fly away, the part of you that knows it was a sin to lock them up does rejoice. If you look back on your life and where you started from it’s like looking back down a mountain back to the desert floor. It’s like now I can’t believe I had whatever it takes or perceived whatever it took to get here. So if I believe in God, and I do, it’s because I think I’m God. I’m a firm believer that things happen as they should. The universe unfolds just as it’s supposed to. Get busy livin’ or get busy dyin’. I am going to stop calling you a white man and I’m going to ask you to stop calling me a black man. I’ve been living with myself all of my life, so I know all of me. So when I watch me, all I see is me. It’s boring. Write something insightful. 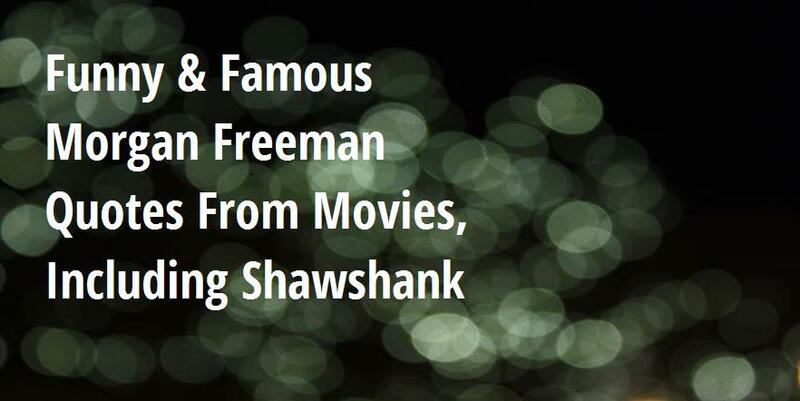 Say Morgan Freeman said it. Win at internet. There’s no mystery to it. Nothing more complicated than learning lines and putting on a costume. 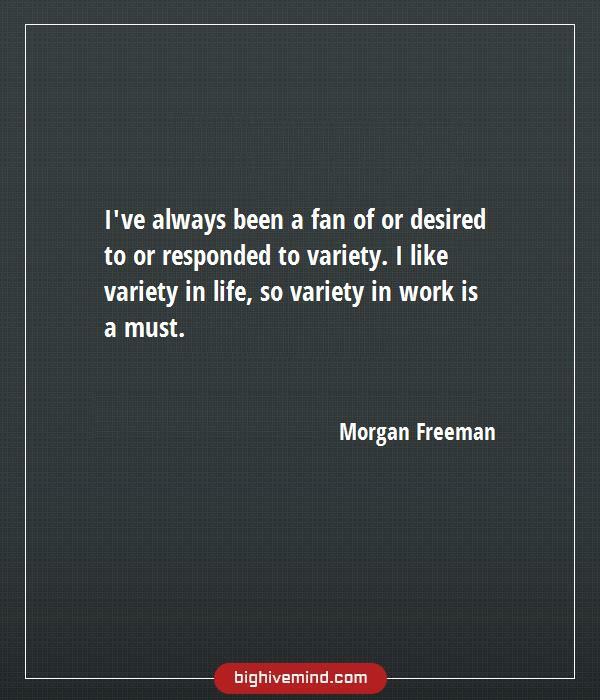 I’ve always been a fan of or desired to or responded to variety. I like variety in life, so variety in work is a must. I don’t get off on romantic parts. But I often think if I had had my dental work done early on, well, maybe. Still, it can be more effective to accomplish what you need to accomplish with the minimum effort. Watch Anthony Hopkins. He doesn’t appear to be doing anything. He is so still that you can’t see him working, but you are drawn into his character through his very stillness. Never give up the ganja. Never let pride be your guiding principle. Let your accomplishments speak for you. Acting means living, it’s all I do and all I’m good at. If I weren’t getting paid well, I would still be acting in a small troupe somewhere. All you have to do is believe, then you will see everything. Don’t be different just for different’s sake. If you see it differently, function that way. 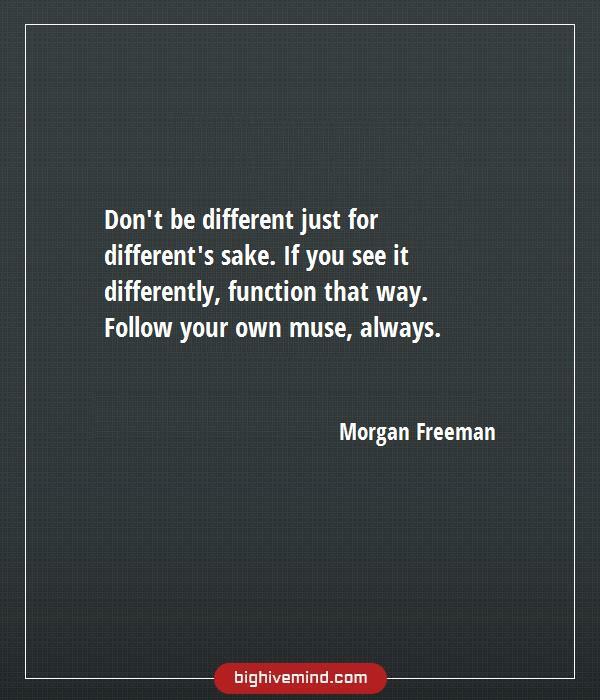 Follow your own muse, always. How are we going to get rid of racism? Stop talking about it! Audiences believe what you believe. It’s a matter of believing yourself. If I believe me, then you’ve got no choice. None at all. Insanity is being sh*t on, beat down, coasting through life in a miserable existence when you have a caged lion locked inside and a key to release it. I’ve never had any intimate relationships with a dolphin. Donald Trump is the Honey Boo Boo of rich people. Very often, you know, you stop walking because you say, ‘Well, I’m tired of climbing this hill. I’m never going to get to the top.’ And you’re only two steps from the top. If I stay at home, I’m not famous. I’m only famous when I’m out in the streets, so I don’t go out on the streets much. I am God. So it’s easy to play him. They say God is in all things. So if God is in me, then I am in God. Therefore, I am God. God does not exist without me. I knew at an early age I wanted to act. Acting was always easy for me. I don’t believe in predestination, but I do believe that once you get where ever it is you are going, that is where you were going to be.